Cotton Malone is back! 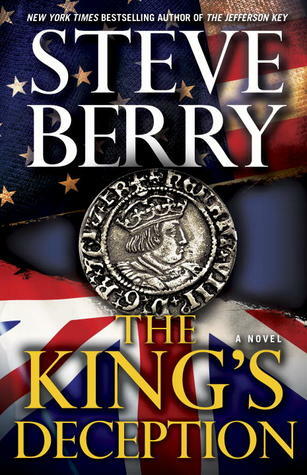 Steve Berry’s new international adventure blends gripping contemporary political intrigue, Tudor treachery, and high-octane thrills into one riveting novel of suspense. 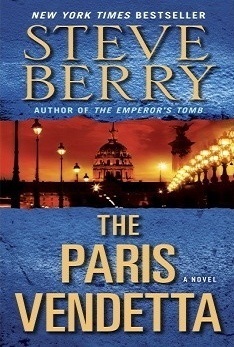 Steve Berry is the New York Times and #1 internationally bestselling author of The King’s Deception, The Columbus Affair, The Jefferson Key, The Emperor’s Tomb, The Paris Vendetta, The Charlemagne Pursuit, The Venetian Betrayal, The Alexandria Link, The Templar Legacy, The Third Secret, The Romanov Prophecy, and The Amber Room. His books have been translated into 40 languages with more than 15,000,000 printed copies in 51 countries. History lies at the heart of every Steve Berry novel. It’s this passion, one he shares with his wife, Elizabeth, that led them to create History Matters, a foundation dedicated to historic preservation. Since 2009 Steve and Elizabeth have traveled across the country to save endangered historic treasures, raising money via lectures, receptions, galas, luncheons, dinners, and their popular writers’ workshops. To date, nearly 2,000 students have attended those workshops. In 2012 their work was recognized by the American Library Association, which named Steve the first spokesman for National Preservation Week. He was also appointed by the Smithsonian Board of Regents to serve on the Smithsonian Libraries Advisory Board to help promote and support the libraries in their mission to provide information in all forms to scientists, curators, scholars, students and the public at large. He was named Georgia Author of the Year (2005) and has received the Royden B. Davis Distinguished Author Award and the 2013 Writers for Writers Award bestowed by Poets & Writers. Steve Berry was born and raised in Georgia, graduating from the Walter F. George School of Law at Mercer University. He was a trial lawyer for 30 years and held elective office for 14 of those years. He is a founding member of International Thriller Writers—a group of more than 2,000 thriller writers from around the world—and served three years as its co-president. Cotton Malone's ex-wife has just made a devistating admission to their son about his biological father. Gary, now a teen, has always thought that Cotton was his biological father and his world is thrown into a whirlwind. Now retired and owning a bookstore in Denmark, he comes home to get Gary to take him back to Copenhagen with him and try to rebuild their relationship. His old boss asks him for a favor, to bring back another youth, Ian, to London, who has the UK version of the CIA in an uproar. All because Ian happened to pickpocket the wrong man which put him in possession of a thumb drive with information that could bring down the crown. In a story much like Dan Brown's books, this one is fast-paced built around an obscure historical footnote (bit of a spoiler - check out Bram Stoker's Famous Impostors) that implies Queen Elizabeth I was actually a man since the real princess had died before coming to the throne. Yeah, it really sounds far fetched but when Cotton is teamed up with an almost fired Inspector for the SOCA (British FBI) named Kathleen, things become really scary. As Cotton and Gary befriend Ian, they step unawares into a thrilling plot to cover up the information they find. This is one gripping book that had me up reading late into the night. There is so much happening that I don't want to spoil anything for anyone but I just love books based on historical fiction that really could be true. The boys in the story add quite a bit of human detail and gives an eye towards little insights that can sometimes be missed with just adults around. I really enjoyed all of the characters as well as the plot. Even the bad guys seemed pretty heroic and cast in shades of gray, while one of the good guys had equal shades of evil. I have read other books in this series and most of these stand alone so you can easily jump in on any one of them. You can win my copy of this book and another winner will get a *signed* copy of The Paris Vendetta! Want to win one of these NEW books? This giveaway is sponsored by the BOOKTRIB and ONE book is available. Always like a good political thriller! Enjoy all of his books so far.